Mystery of the Boiling Lagoon (7431.16) is another in a series of radioactive nosecone disasters (see Missile Recovery and the Mobile Support Vehicle). 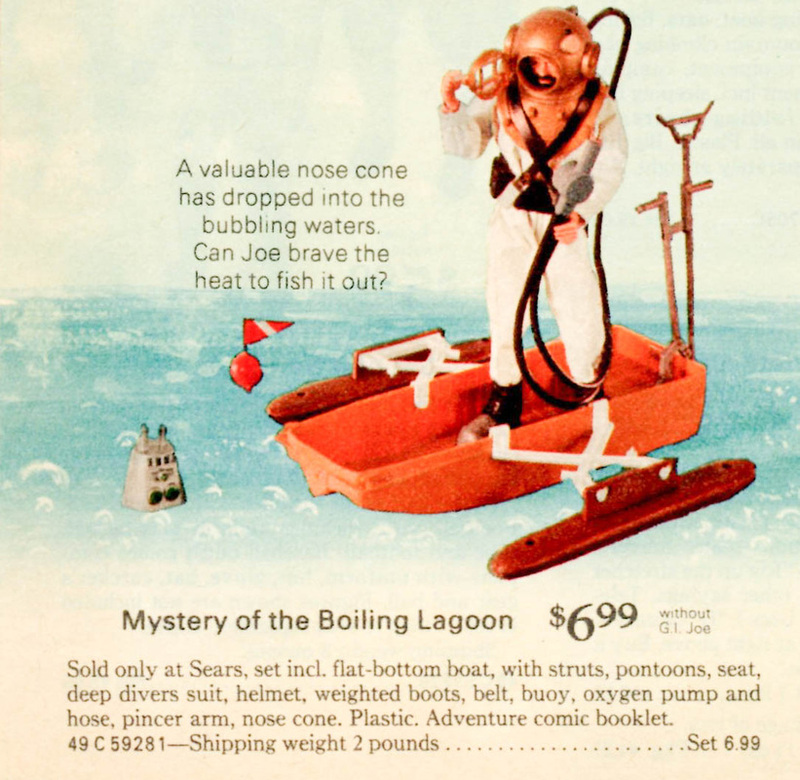 A 1973 sears exclusive, the set recycles the pontoon boat from Capture of the Pygmy Gorilla (without the motor) along with a set of Deep Sea Diving gear, a grabber borrowed from Dangerous Removal, and the ubiquitous radioactive nose cone, though without the radioactivity sticker. The boat came without paddle or motor, so hopeful Joe can drift to his destination in time. Above, advertising for the set on the back of the Abominable Snowman comic. Below, the Sears catalog ad.